Once upon a time I had a roommate who loved skateboarding. Travis lived for the weekends. The reason? His work life? That was just something that got in the way of skateboarding. Each weekday he commuted into work and plopped down at a dusty cubicle. For eight hours a day his eyes would burn into the shapes of spreadsheet cells. His mouth persistently stained with the taste of cheap coffee. It was….soul crushing. He’d usually trudge home around 7pm. By then it was too dark to do much skateboarding. He was too tired anyway. When the weekend arrived Travis’ energy levels always skyrocketed. He’d kickstart any given Saturday by rallying his skateboarder friends via group text. They’d rendezvous somewhere in the city and spend the day perfecting new tricks, talking shop, and uncovering unexplored terrain. This was what Travis lived for. He wished he could do it all the time. One particular Saturday Travis found himself in the mall buying new shoes. 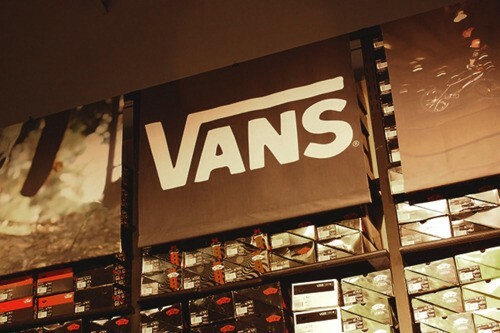 While waiting for the dude to come back with a size 11 to try, he gazed up at the Vans logo above the racks of shiny shoes. Everything suddenly snapped into focus. It felt like his entire life had been leading up to that single idea. He could merge his passion with his income! The next day he quit that soul-crushing job in a huff of confidence. A ‘last day of school’ feeling washed over him as he raced out of that Godforsaken parking lot for the very last time. The next day he Legalzoomed his way to a Delaware S Corp: Skateboard, Inc. He came across a small business lender willing to wire him $30k to get things rolling. He signed a 2 year lease on a warehouse to store his products. He set up a Squarespace eCommerce site. Two weeks later he sold his first skateboard. It was coming together. Of course, there was an overwhelming amount of work ahead to get the business to breakeven. Months whizzed by as if they were days. His sole focus in life was to make the business work. By month 6 something felt wrong. He noticed that he’d actually been skateboarding a lot less these days. Why? Well, he needed to maintain inventory of course. That required hours upon hours of staring into spreadsheet cells. He had to handle customer service too. He also had to log all his crumpled receipts into Quickbooks with an app that sorta worked. There was ‘always something’ that got in the way of skateboarding. His friends began to realize this and stopped including him in their group texts. One day he was aimlessly staring up at the Skateboard, Inc. logo above his boxes of inventory. It was in that moment that a difficult thought hit him like a sack of bricks. This realization sent Travis into a tailspin. It felt like he’d spent all those 80 hour weeks building himself a prison. Instead of one soul destroying job it now felt like he had five of them. Sure the spreadsheets were about skateboards. The phone calls were aboutskateboards. The bills were about skateboards. But Travis’ life was not about skateboarding. It was about keeping Skateboard, Inc. above breakeven. Eventually Travis had enough. He shut down Skateboard, Inc. and got a job at that Vans store in the mall. Missing out on skateboarding was simply not worth it anymore. The Skateboarder Paradox is the simple idea that tethering your income to your passion will fundamentally change how you practice that passion. Don’t let internet marketing bloggers trick you, ‘entrepreneurship’ is not the only way to do what you love. They are biased because their identity is too wrapped up in the notion to give unbiased advice. The truth is that creating a business is merely one option on a vast spectrum of ways to practice what you love. Infrequently is it actually the best option. Doing what you love as an employee in an existing company is a perfectly wonderful and valid lifestyle. Maintaining a separation between passion & income might be making you happier than you have context to realize. It affords you the freedom to perform your passions authentically without the burden of breakeven distorting your choices. Skateboarder Paradox is something to consider before making the plunge into business ownership. The grass could very well be greener right where you are.